I could already hear the outcry when I was writing these lines: "Touchscreen technology will never replace real pots! ", "The Wi-Fi latency is huge no matter what! ", "Apple isn't the only thing out there...", "Is this for real?" 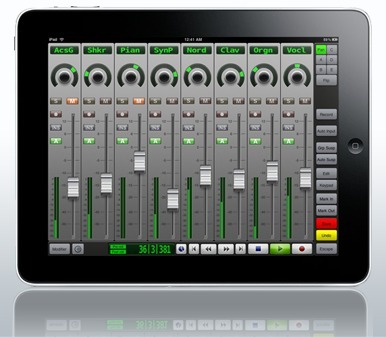 It's true that touchscreen technology, even multitouch, is far from the feeling you get when turning knobs and faders. Nevertheless, tablets have invaded our lives little by little and it would be a pity to miss out on the advantages that this technology provides. Ease of transport, absolute silence and customization possibilities that allow us to have a tailor-made controller. Furthermore, nothing stops you from coupling it with a control surface "worthy of the name" to have optimal flexibility. In regard to the Wi-Fi-induced latency, it's important to know that it is not such a great deal and that, in any case, you can always connect your iPad directly to your computer via MIDI with an appropriate interface to solve the problem. On the other hand, if there's no need to work with a wireless connection, for example, to trigger a recording when you are in front of a mic and not of your sequencer, you can kiss the latency goodbye! And that's what matters, to be able to manage a session smoothly on your own without the need to go constantly back and forth. And well, if I only deal with iPad solutions it's not due to snobbery. It so happens that, in this particular point in time, other platforms still lag behind in this respect... But with a bit of luck this will change soon. And when that happens we will retake the subject. 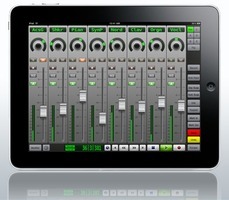 So, to wrap it up, yes I do mean to talk seriously about control surfaces for iPad. Now, with regard to the applications I chose, I deliberately ignored those that control only a specific software. 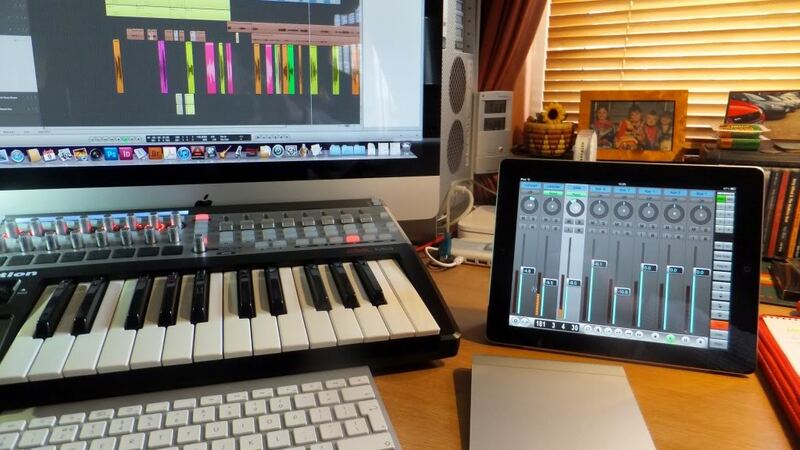 So the Apps in the list below can be used with Cubase, Logic, Pro Tools, Live, Reaper, Studio One, etc. 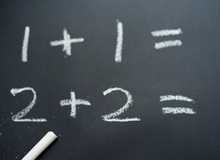 I have reviewed the Apps more or less extensively, depending on the case, but nonetheless all the basics are covered. Well, now that we're done with the shortlisting, it's time to review our selections! Let's start with the Rolls Royce in the plug-and-play category: V-Control Pro by Neyrinck. Putting it to use is child's play thanks to the Ney-Fi software (available for free at the developer's website), which is in charge of the communication between the iPad and the computer. You only need to tell your DAW that the V-Control Pro is in control and that's it. And if you happen to have the slightest concern, the developer had the excellent idea of including the user manual. Edit window with zoom, navigation, automation mode, DAW view swapping, markers handling, function buttons, etc. Do note that during our tests, some buttons of the Edit window did not work as foreseen by the software. However, it s possible to avoid this problem if your DAW allows you to assign MIDI shortcuts via a MIDI Learn function because the faulty buttons do transmit MIDI messages. The cherry on the cake is the so-called V-Window, a feature of the V-Control Pro that is quite something. 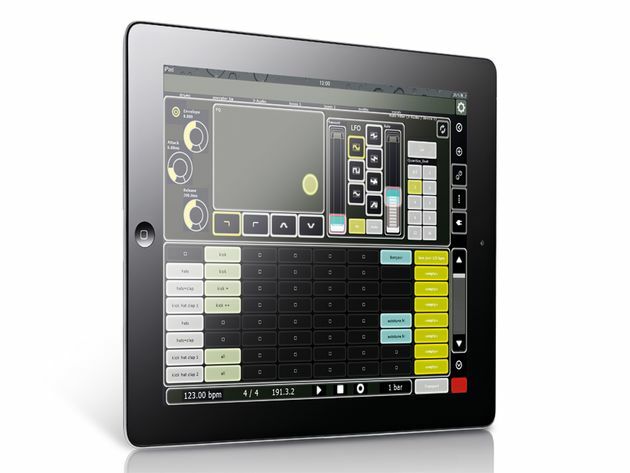 It allows you to display any window of your DAW directly on the iPad. That way you can tweak your plug-ins by hand... Or, more precisely, by finger because multitouch is unfortunately not implemented in this case. All in all, the V-Window proves to be very practical in use. One last remark before moving on: in the App Store you'll find a "Free" version. Even if limited, it will allow you to test-drive the beast before paying up. A nice gesture from Neyrinck other developers ought to take note of. It's not easy to be next after the V-Control Pro. 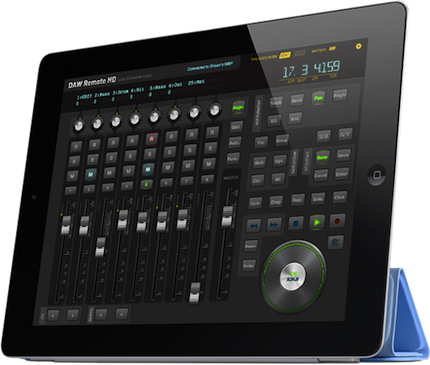 In fact, at a quick glance, DAW Remote HD seems to be left quite behind. With even less functions (depending on the sequencer), very small faders, a counter with an anarchic behavior at times, no equivalent of the V-Window… Nevertheless, EUM Lab offers a couple of advantages. Apart from a much lower price and a fancier look, the software allows you to create your own customized template and with multiple pages. So you can dedicate one page to mix functions, another one to edit buttons, etc. Darn handy! Especially considering that this customization is easily carried out thanks to the integrated editor. An inexpensive solution that shouldn't be neglected. It's time lo leave the plug-and-play world behind and get our hands dirty. 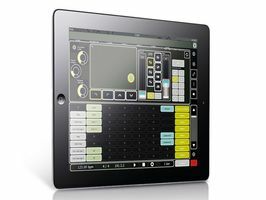 Hexler was the first developer to offer this type of software for the iPad: TouchOSC is a fully customizable MIDI / OSC controller that covers a much wider range of applications than simply being a remote control for your DAW. 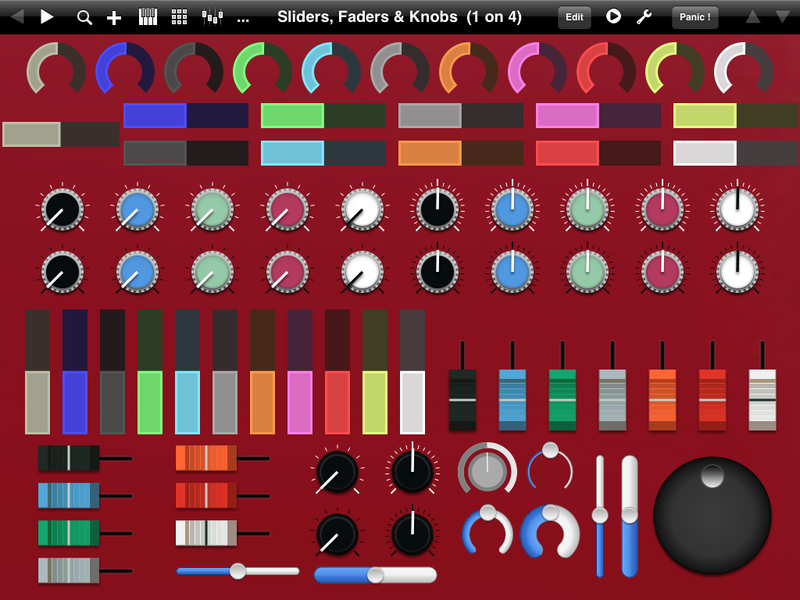 In fact, thanks to the free Mac and PC editing software, you can not only create the control surface of your dreams with the number of faders and switches you need, but you can also add pages with, for example a virtual master keyboard or drum pads, or even recreate the controls of your favorite plug-in or virtual instrument. Everything is possible if you put yourself to the task... Because this customization demands some know-how and, most of all, time, which many of us don't have. However, it's worth noting that there are many ready-to-use templates freely available on the Internet. Even if they don't fit your needs perfectly, they will be a good starting point. A brief remark before moving on. The user manual is far from being comprehensive. It would've been nice to have a PDF available. Fortunately, the developer has set up discussion forums. Remember back in 2005… the Frenchmen at JazzMutant introduced the Lemur, the first multitouch interface for the general public. Its potential didn't go unnoticed by artists such as Björk and Daft Punk, but its price back put off one too many home-studio owners. Yet, who hadn't dreamed of it being ported to the iPad when the latter came out? True, the small TouchOSC has a Lemurian touch to it, but it is far from the real thing in terms of functionality… But it wasn't until the end of 2011 when Liine, developer of iOS applications, announced the introduction of its version of the Lemur. And boy was it good! All functions are implemented, and even more. Regarding the subject at hand here, this Lemur is a real treat. It's the best tool to build one's own custom-made controller. And if you don't feel like getting your hands dirty, there are myriads of templates for most DAWs. 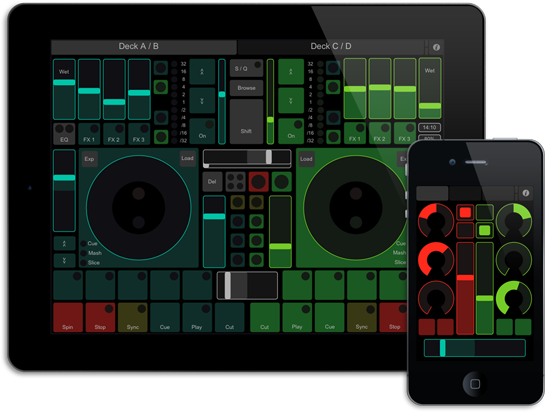 Like LiveControl 2 for Ableton Live, or Binder for Reaper. 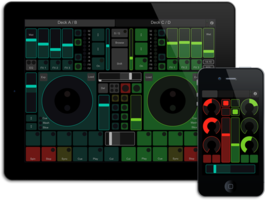 The cherry on the cake is that thanks to its scripting possibilities and prodigious library, this Lemur App will open up much wider horizons than an average control surface. 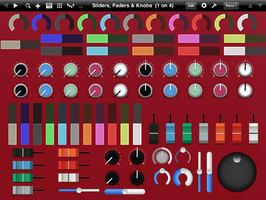 Step Sequencer, arppegiator, etc. There's a whole fascinating world to discover at Liine's website. This is definitely the outsider on the list and my personal favorite! Don't pay much attention to the tiny price, TB MIDI Stuff can do lots of things. 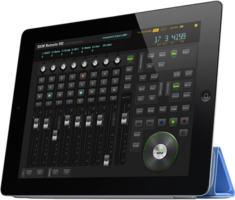 Like the two preceding apps, it allows us to control any software, plug-in or virtual instrument from A to Z via MIDI and/or OSC . The integrated editor is not the most practical one, but it does its job. But then, what is it that sets it apart from the rest? Well, it's the only one that offers the possibility of fully customizing the graphical interface! You can import your own images for every element. Really practical to create your own editing panel with adapted icons (scissors, arrow, etc. ), which is much more meaningful than a chain of switches covered with words. And for the bravest among you who like to work with Photoshop, you can have a photorealistic interface! It might seem useless, I know. But it's nice. So there you go, we are done with this brief overview. I hope it will help you find something of your liking. A good control surface is indispensable in our field to gain efficiency and to be able to focus on what really matters: the sound. And I truly believe that the options presented here shouldn't be neglected.